A provincial outlook is narrow-minded and unsophisticated, limited to the opinions of a relatively local area. Someone who is refined is sophisticated, cultured, and polished. If you are suave you are charming and very polite, being agreeable, perhaps not always sincerely, to all you meet. The fictional character James Bond is known for his debonair, elegant style. The films that bear his name portray a rich world in which debonair, sophisticated, and well-bred villains live in mansions and yachts accompanied by beautiful women who admire them. In reality, master criminals are rarely fashionable, debonair, or courteous, but rather they are crude, murderous, and unmannerly. Quiz: Try again! What does it mean to be debonair? To be attractive and charming. To be living a life of wealth. To be in control of everything and everyone around you. 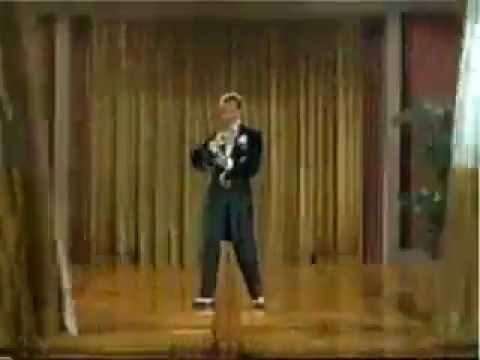 Fred Astaire Forever Debonair Debonair Fred Astaire danced with elegant skill and smooth grace. One who is debonair is “from” a “good, worthy, or well-behaved family” and thus knows how to conduct himself well in society. Fred Astaire Puttin' on the Ritz. Now that's debonair. debonaire adj → alternate spelling of "debonair"